Calling all riders! Some of the most spectacular scenery across all of our adventures awaits you in the wonders of Alaska, MotoQuest’s very own backyard. There’s a good reason they call this immensely vast and wild landscape “The Last Frontier.” As the largest state in the country, most of which has remained untouched from modern development, Alaska is a wide open door for exploration, where Mother Nature is showing off her grandeur every step of the way. If you’ve ever had the itch to see Alaska and bask in its glory, we have several options for you! However, you need to act fast as this is our last call for the Alaska Women’s Tour, Alaska Kenai Peninsula Adventure, Alaska Backcountry Explorer and Alaska Northern Lights Adventure. Our annual one-of-a-kind adventure for the fastest-growing segment of the motorcycle industry is led by none other than our esteemed “Motorcycle Vacation Addiction Enabler,” Robyn Kocienski, who we affectionately call “RoKo.” Her title essentially means that once you experience an adventure led by our most charismatic and fun-loving tour guide, you’ll keep coming back for more. The Alaska Women’s Tour is highlighted by the epicness of North America’s tallest mountains. Over the course of a full seven days of riding we’ll travel through an array of microclimates that have been shaped by massive glaciers, which means you’ll experience the full gamut of temperatures. No need to worry though, because you’ll be warmed up by a soak in mineral-rich hot springs. On top of that, waterfalls will be there to greet you following the dramatic elevation shift during our carve through Thompson Pass. As if that scenery wasn’t amazing enough, the ride down Richardson Highway will leave you in awe as we pass through Keystone Canyon. Since you’re in good hands with RoKo, there will be a few bonuses along the way. 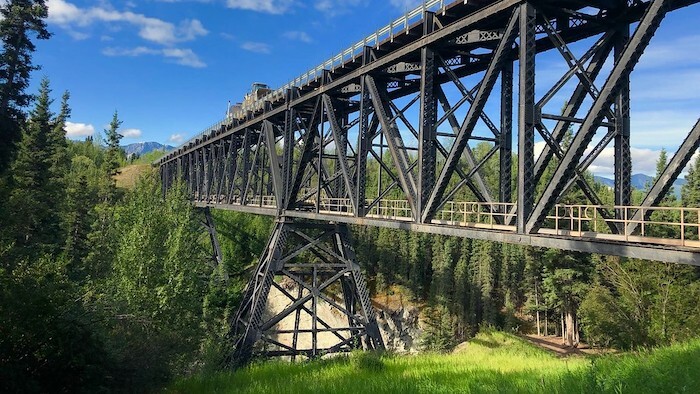 One in particular is what she likes to call an “extra credit” ride, where anyone interested in literally going off the beaten path can take an excursion down an unpaved section of the famed Denali Highway. It’s a rugged and breathtaking stretch that helped build the lore of Alaska. 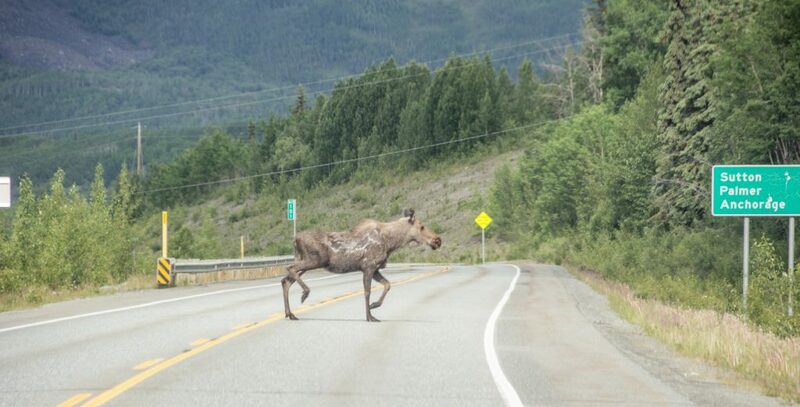 If you’re in Alaska you’re likely to see some incredible wildlife, such as moose, bald eagles, bears and more in their natural environment. 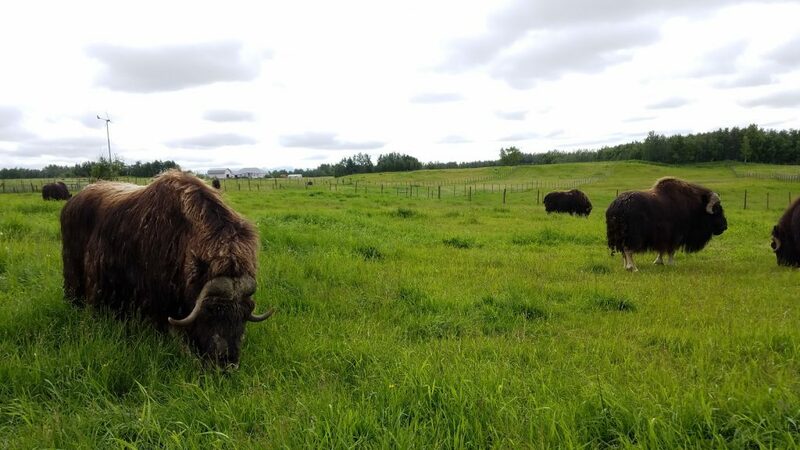 You’ll feel even more fortunate if given the chance to meet some sled-dogs at the Iditarod Headquarters, or learn about how the musk ox has survived since the Ice Age with its incredibly soft and warming wool. 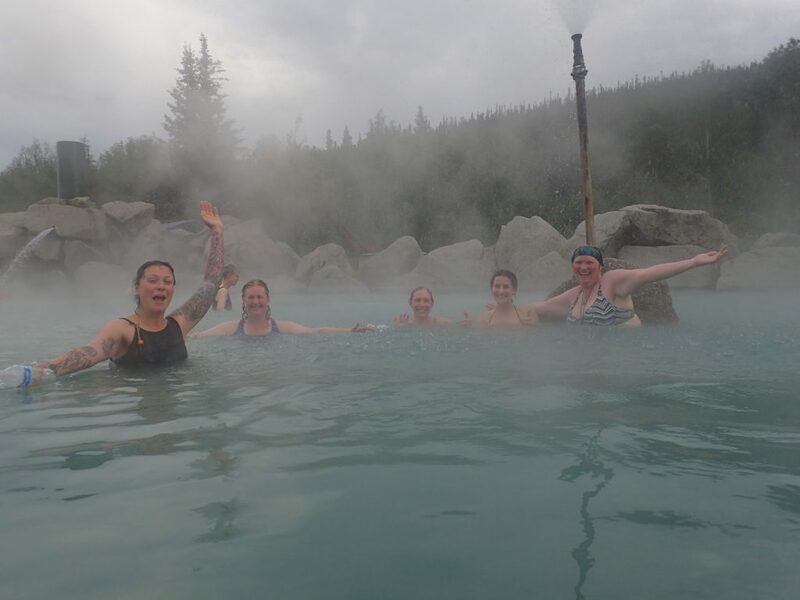 While the sights and joys of riding provide an itinerary for the Alaska Women’s Tour, what makes it a truly memorable experience is the sense of camaraderie that emerges from the group almost instantly. It’s a magical experience that’s hard to put into words. Lifelong friendships often emerge from this adventure, with a common bond that leaves everyone asking where they’re all going together next. Don’t miss out on your chance for this rare opportunity to meet new friends and create lasting memories of your passion for two wheels! 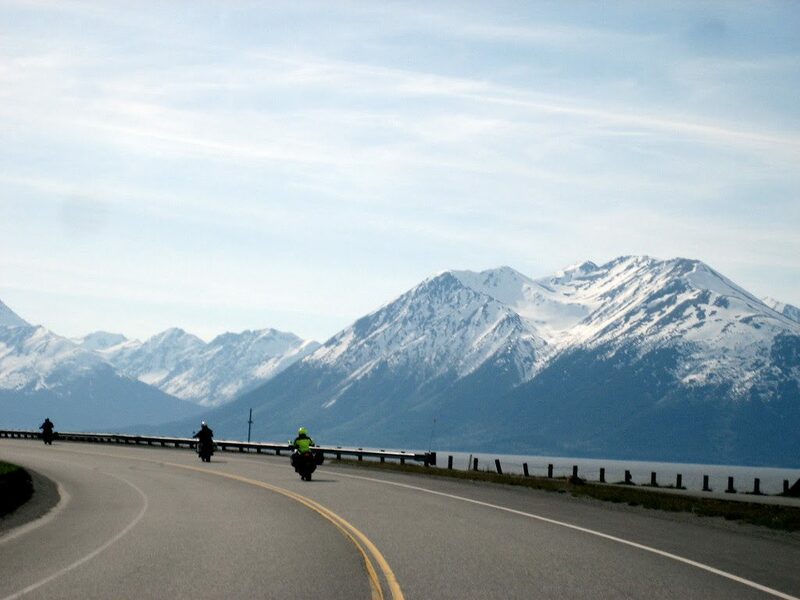 If you have limited time to experience an Alaskan adventure, or if you’re curious to learn what a motorcycle adventure is all about, then our four-day journey to the Kenai Peninsula is the perfect opportunity. With the total landmass of the Kenai Peninsula Borough equaling that of Massachusetts and New Jersey combined, the stage is set for an incredible adventure. 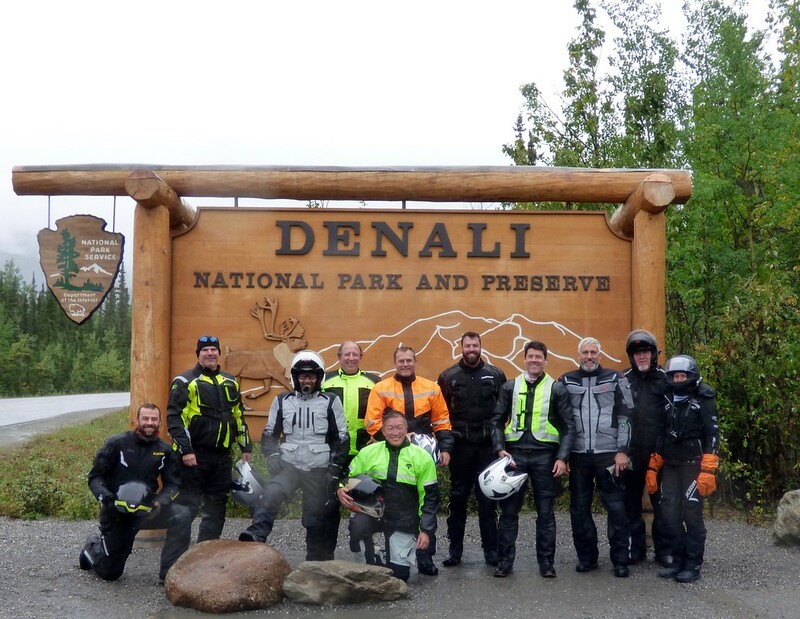 Over the course of just three scheduled days of riding we cram in some of the most incredible sights and awesome riding roads Alaska has to offer on this nature-rich piece of land off the state’s southern edge. 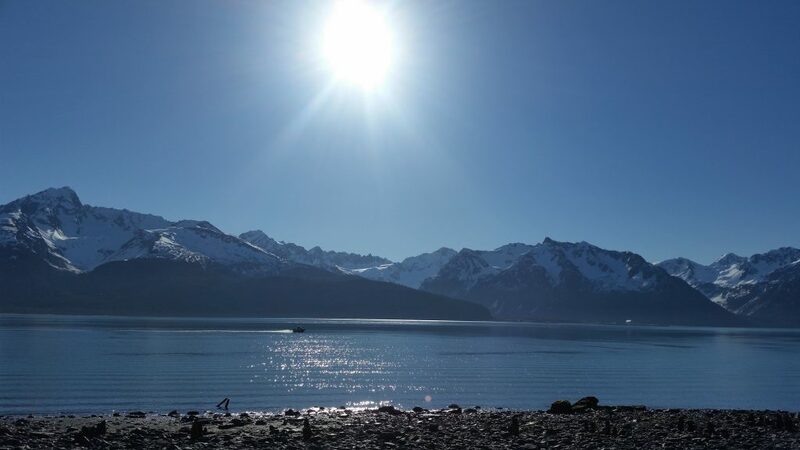 Ride along the spectacular Turnagain Arm of the Cook Inlet, hugging the Gulf of Alaska where wildlife surrounds you both in the water, and on land. Volcanoes lie in the distance. Experience pure Alaskan charm in the port town of Seward, home to hundreds of fishing boats and Steller sea lions. This is the gateway to Kenai Fjords National Park, and if you’re lucky you might catch a glimpse of grey whales, humpback whales, Dall’s porpoise, sea otters, and more. 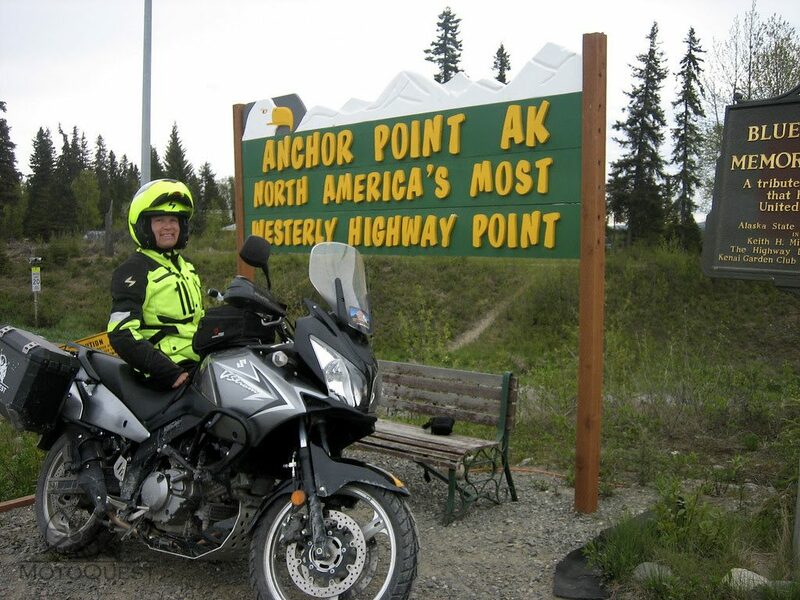 Visit the westernmost motorable town of Anchor Point en route to Homer, at the top of the peninsula in Kachemak Bay. This two night stay in Homer Spit, a geographical marvel of a thin, 4.5-mile stretch of land that juts off the tip of the peninsula, offers an ideal opportunity to explore the area. It’s the longest road into ocean waters, littered with quaint shops, restaurants, activities and, of course, some of the most amazing views in Alaska. The free day in Homer also offers the opportunity to relax, go Halibut fishing or take a spectacular ride out East End Road. Get a taste of Alaska with the chance to experience it like a local, planting the seed for more exploration across its epic wilderness! Our Backcountry Explorer adventure is for those looking to explore the real Alaska. We travel to the most remote stretches of the Alaska Highway System, beyond the paved and unpaved highways, over rocks, across waterways and through mud. As the most technically advanced trip MotoQuest offers, this adventure was a labor of love for founder Phil Freeman – the culmination of 10 years of exploring, connecting with locals and mapping a route to challenge even the most experienced rider. 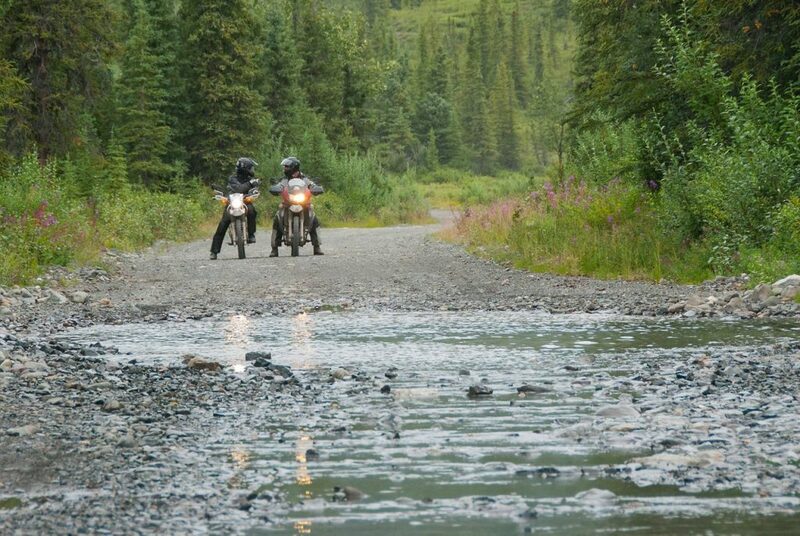 If you can’t get enough of riding on challenging terrain and want to put yourself in the middle of the Alaskan wilderness, this is the trip for you. Take in glaciers, rivers, and endless wilderness riding across the Glenn Highway, one of Alaska’s most dramatic and well-traveled roads that ranks among the top 10 most scenic rides in the United States.But don’t let the scenery fool you, this trip is not for the tourist. It’s for the explorer. The Adventurer. For those looking for a real two-wheeled challenge in the Alaskan wilderness. 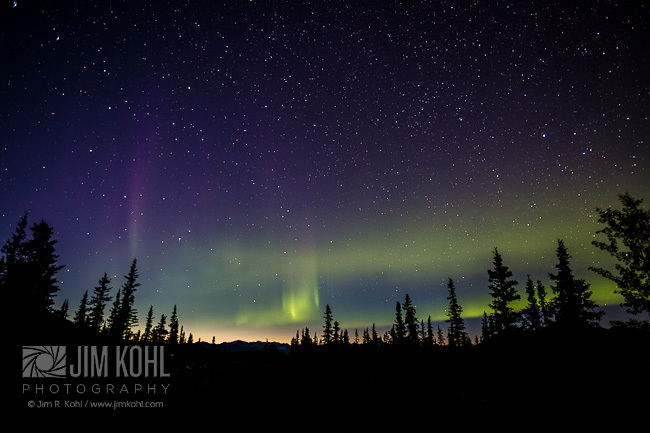 Spend two nights within the boundary of Wrangell-St. Elias National Park, the largest national park in North America. This 13.2 million acre expanse is the size of Yosemite, Yellowstone and the entire country of Switzerland combined, and goes from sea level all the way to 18,008 feet. Tackle the rugged, unpaved glory beyond the Denali Highway,crossing streams and scaling mountains like a true explorer before trekking across the backroads of Parks Highway. 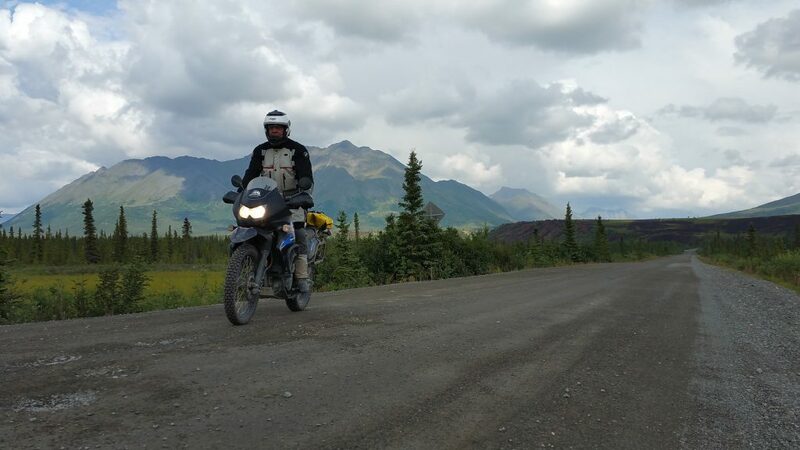 Ride with the 20,310-foot peak of Denali as your shadow as we traverse Petersville Road on the south side of the mountain – a rugged old mining road ideally suited for the adventurer, NOT a tour bus. 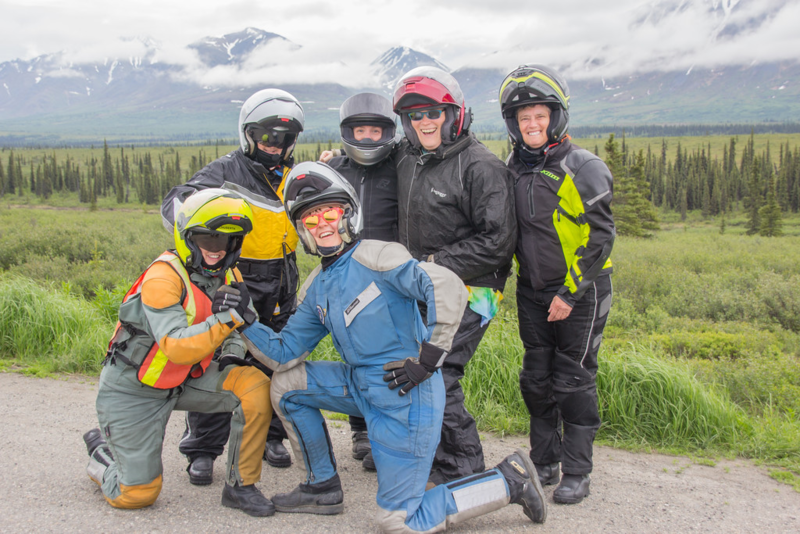 During your ride through Hatcher Pass you’ll be living a motorcyclist’s dream as you carve through the middle of the Talkeetna Mountains with dramatic elevation changes from 1,000 feet on the valley floor to summits that reach over 6,000 feet. 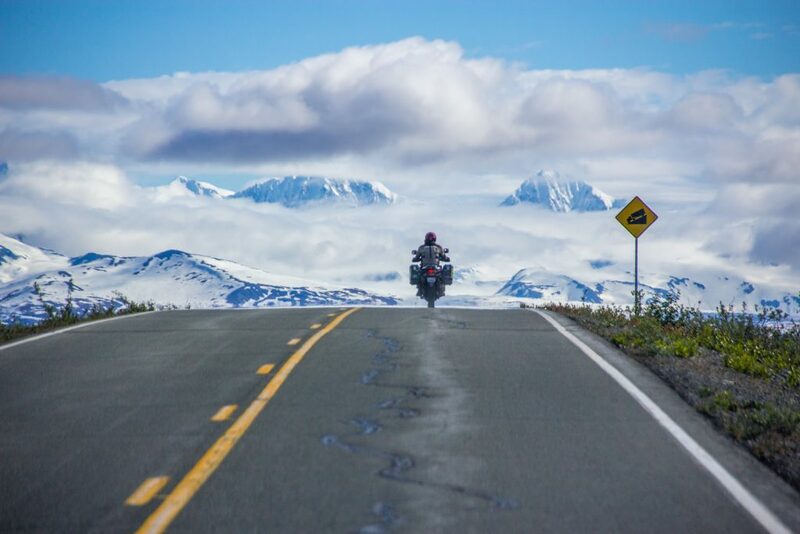 This is your chance to ride an adventure motorcycle exactly the way it was designed to be ridden, enhanced by an unparalleled opportunity to discover Alaska in a way that very few do! Headlined by one of the planet’s most mysterious and mesmerizing natural phenomenons, the Northern Lights Adventure brings our Alaska season to a close just before the snow starts to fall, when the sun sets early and darkness makes its anticipated return. These conditions bring a heightened opportunity to witness the Aurora Borealis, a bucket-list experience for any adventure seeker. While the sights are emphasized, the riding is just as incredible. This is the chance to immerse yourself in all of Alaska’s wonder. Riders will note the Northern Lights Adventure follows a similar route to the Backcountry Explorer. However, where the Explorer takes you across jeep trails and deep into pristine Alaska, Northern Lights is highlighted by the less-traveled dirt and paved routes found throughout The Last Frontier. 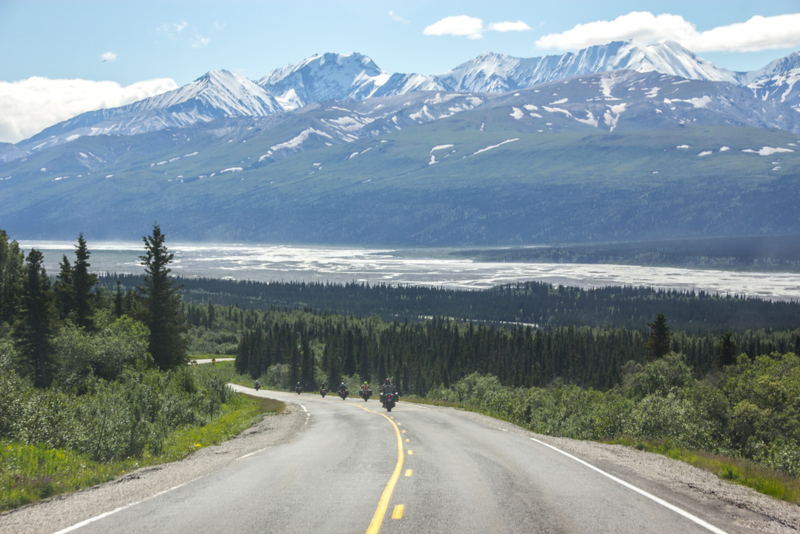 Ride through stunning Thompson Pass, be in awe at the scenery along the Denali Highway and explore Wrangell-St. Elias National Park (America’s largest National Park). Take Edgerton Highway into the tiny, lost mining town of McCarthy, Alaska’s most famous ghost town. Cross the pedestrian bridge into town via the only motorized vehicle accessible to its path and take in the old-time, western-style design of McCarthy before venturing over to its crown jewel, the Kennecott Copper Mine. This was once a bustling epicenter of the copper trade, but was abruptly abandoned and left to nature. 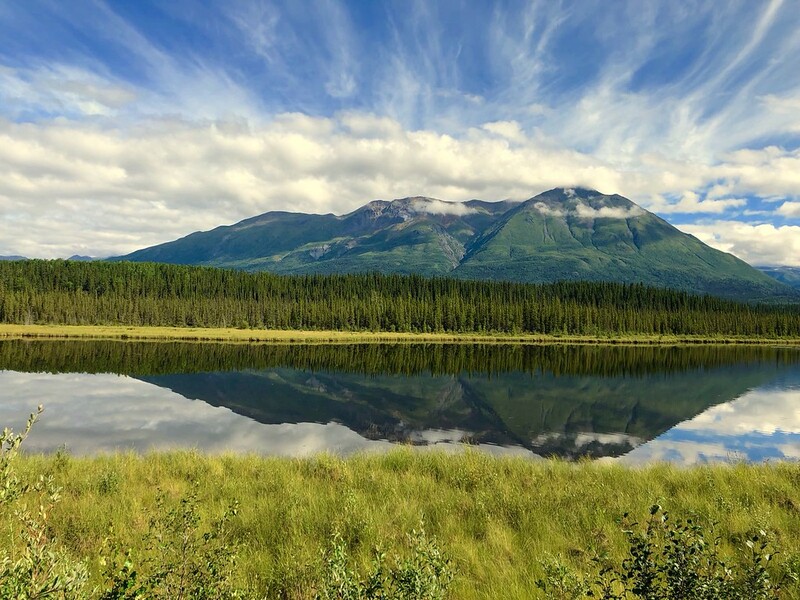 Gaze in awe at nine of the 16 tallest peaks in North America at Wrangell-St. Elias National Park, and savor the endless landscape of the world’s largest span of pure wilderness. The Northern Lights Adventure combines the greatest elements of our Alaskan journeys and pays it off big time with the atmospheric spectacle people all over the world dream of witnessing. With a very small window in Alaska where you can ride AND have a chance to see the Northern Lights, this is your chance to take the adventure of a lifetime! Unable to make it on one of our Alaskan Adventures but still want to explore The Last Frontier? We’ve got you covered! 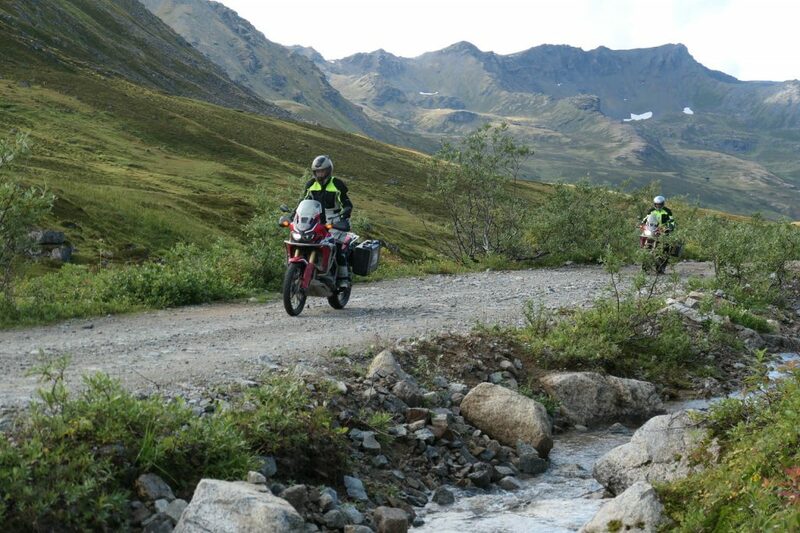 The MotoQuest’s motorcycle rental program is an excellent way to explore the Alaskan backcountry but at your own pace. Our rental program provides the most convenient option for anyone in search of a motorcycle vacation on the West Coast. We’ll provide the ideal bike for your journey, and take it a step further by offering complimentary route consultation.Our group of experts will help you chart a custom adventure to and from our four major locations in Long Beach, San Francisco, Portland, and Anchorage to the destination of your choice. Simply visit our website for more information!